Welcome to the World! 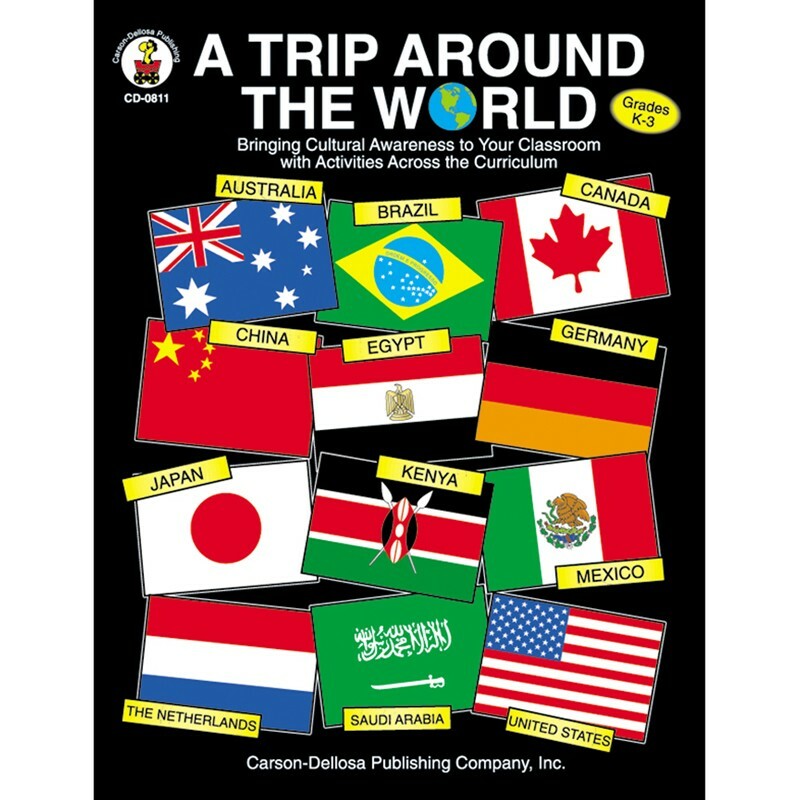 A Trip Around the World gives you and your students the opportunity to explore life in Mexico, Brazil, Egypt, Kenya, Germany, The Netherlands, Saudi Arabia, Japan, Australia, Canada, and the United States. Sections for each country contain basic information (area, population, flag descriptions, etc. ), fascinating facts (sports, education, wildlife, etc. ), language activities, recipes, classroom activities, flags, maps, and a resource list.